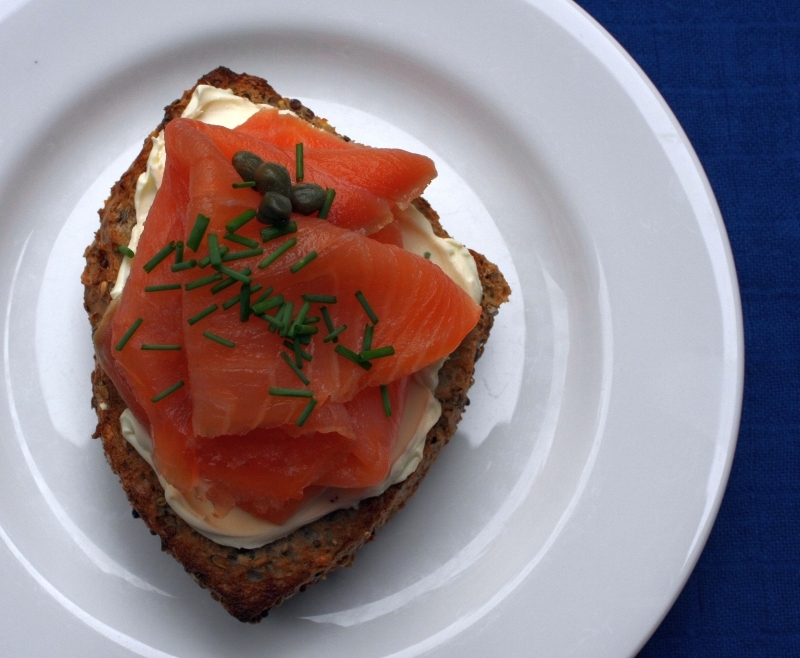 This is almost too simple to be called a recipe – it’s really just an open sandwich celebrating the beauty of smoked salmon combined with crunchy, flavoursome dark grain bread, smooth and luscious cream cheese and salty, astringent capers. So satisfying to make and to eat and far better for your body and soul than any fast food lunch could be. Slice the roll in half. You can toast it if you prefer, or just have it fresh. 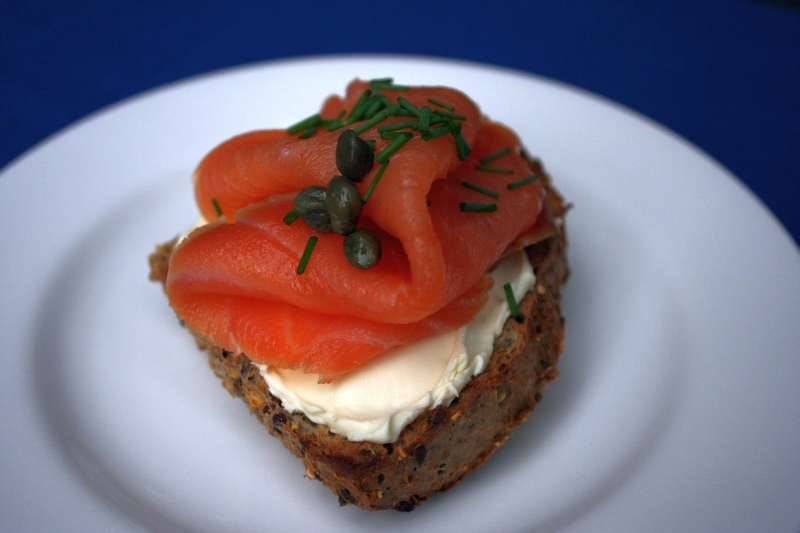 Spread the roll (or rye bread slices) generously with the cream cheese and then top with the slices of smoked salmon. Sprinkle over a few capers and then the chives. Savour the gorgeousness, and if it’s not a work day drink a glass of reisling with your sandwich. Simply Delicious – These are some of my favourite flavours!